Dipl.-Arch. MSc. Yassine Moustanjidi is an architect and urban designer. He is a practitioner and a researcher on the issues of urban sustainability and mega-urbanization. He has been part of the international research project “Future Megacities: Energy and climate efficient structures in urban growth centres” funded by the German Federal Ministry of Education and Research (BMBF), which conducted action-research in nine future megacities around the world (2009-2014). Yassine has worked intensively on the challenges of urbanization within the MENA region, China, and Europe, and actively participated in a variety of International conferences, competitions and workshops on the topic. He also took part in regional leadership programs such as the “US-Middle East Partnership Initiative” in Washington, D.C and “Young Arab Leaders” in Kuala Lumpur. 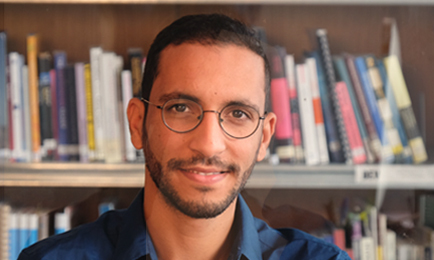 Yassine is currently teaching and researching at the department of International Urbanism, University of Stuttgart, and is a PhD candidate working on the topic of cross-border urban governance in Singapore-Johor-Riau extended urban region. Yassine Moustanjidi (2011): Casablanca foodprint, In: German Academic Exchange Service (DAAD) (Ed.) Future Megacities in Balance Young Researchers Symposium 2011: Dok&Mat Band 66.